Headphones with noise cancelation feature can make your listening experience all the more enjoyable. By blocking out external noise, these headphones can let you better listen to your favourite tunes, or watch favourite flicks. But there are too many headphones with noise cancellation features today. This article will help you find the right model for you. Most of the products reviewed in this article get good grades for sound quality, comfort, and design. Four of the five headphones also feature active noise cancelling. The Bose QuietComfort 25 Acoustic Noise Cancelling Headphones - are specially made for Apple devices. It offers superior sound while begin very compact and lightweight. The Plantronics BackBeat PRO+ Wireless Noise Canceling Hi-Fi Headphones - are cheap and comfortable to wear. The Audio-Technica ATH-MSR7NC SonicPro High-Resolution Headphones with Active Noise Cancellation - are lightweight and reasonably priced. The SONY MDR-Z7 High-Resolution Stereo Headphones - don’t really have active noise cancellation, but its design prevent sounds from ‘leaking‘. The Sennheiser Momentum 2.0 Wireless with Active Noise Cancellations - known for its long battery life. ·Size.You should look for a headphone that’s both lightweight and compact, especially if you plan to bring it outdoors. A headphone that is slim enough to be put inside a bag is ideal. However, this may not be a concern if you plan to use the headphone at home. ·Battery life. This is another important consideration in shopping for headphones. Buy a headphone with a battery that can last for at least 10 hours. However, remember that battery life can be affected by factors such as volume levels. ·Design. This can also affect the noise reduction of the headphones. Closed headphones, for instance, tend to block out more noise than open design and earbud-style headphones. ·Comfort level. The ideal headphone has padded earcups and headband, so that you won’t feel any pain or irritation whenever you wear the headphone. Moreover, it should not make you sweat especially during extended listening sessions. 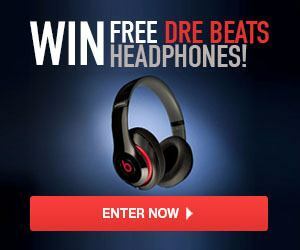 What Are The Best Headphones Under 1000? Summary: These are headphones that are highly recommended to iPhone and iPad owners. Bose designed these headphones to work well with most Apple devices. You can use these headphones for listening to your favourite music, watching clips on your iPhone, or talking on your phone hands-free. These headphones deliver superior sound. You’ll hear clean bass and crisp highs and lows when you use these headphones. The QuietComfort 25 headphones are also well recommended to frequent flyers. With its noise cancelation feature, the QC25 blocks out ambient noise so you can enjoy your music sans the distraction. Plus these headphones come with a compact case that is lightweight and rugged. The earcups fold flat into this case, protecting the headphones well during travel. Most reviewers on Amazon.com have very good words for this pair of headphones. They say that it is lightweight, with a pillow-like ear cushion and headband. They agree you can wear it for hours. Other reviewers, on the other hand, are impressed with the noise cancelling feature. They say it does a very good job of blocking out outside noise. Summary: Plantronics may not be as highly fancied as the other brands in this list, but it makes good quality headphones, too. Check out its BackBeat Pro+ wireless noise cancelling Hi Fi headphones that are quite inexpensive and comfortable to wear. These headphones feature noise cancelling technology. It can eliminate background noise so you would be able to hear only the sounds you’d like to listen to. It is compatible with all mobile devices, from Android to Apple devices. It can offer up to 24 hours of uninterrupted listening. Its range is up to 330 feet. You can wear these headphones for hours, thanks to its pillow soft ear cups. Moreover, you can take and make calls with this pair of headphones. A lot of reviews on Amazon.com suggest that in terms of sound quality, the BackBeat Pro+ can compete with other models from more renowned brands. Customers on Amazon.com say that even audiophiles would be impressed with the sound that these headphones produce. Durability, though, is questionable. There are reviewers complaining that their units broke down just after several months of use. Summary: These headphones come with a built-in microphone located on top of the ear cup. You can expect crystal-clear phone calls when you use these headphones. With its flexible swivel design, you can easily put these headphones into a briefcase or backpack. Plus it has soft memory foam earpads and headband, thus you should be able to wear them comfortably even for extended periods. These headphones have two detachable cables. One is a standard 1.2 meter cable and the other one has inline controls and microphone, which you can use for taking and making calls. It has an internal, 3.7V lithium polymer battery. This can be re-charged using a USB charging cable. Reviewers on Amazon.com are very impressed with the audio quality of these headphones. They say you would think that these headphones are priced higher than $300 when you get the chance to listen to them. However, they also point out that build quality isn’t that good. They mention that the cables look and feel cheap, while the carrying bag that comes with the product has cheap pads. Summary: These are big and super comfortable headphones that you can use for late night game playing and movie watching. You can listen to any tune or watch any movie you like without disturbing everyone else in the house. These headphones have big, thick-padded cups. It also has generous padding in the headband. Let’s just say that you won’t feel uncomfortable when you wear these headphones even for hours. The Sony MDR-Z7 has standard cables (2 m and 3m) that are removable. You screw these cables into each ear cup. Many reviewers on Amazon.com have very good reviews on this product. They agree that it is well made. They also say it delivers in terms of sound reproduction. Summary: The main selling proposition of the Sennheiser Momentum 2.0 is its noise cancellation technology. It is equipped with Sennheiser’s NoiseGard hybrid active noise cancellation technology that virtually eliminates ambient sound. Thus you can expect to hear only the sounds you want to hear. Many reviewers on Amazon.com say that this pair of headphone does a great job of eliminating ambient noise. One reviewer said he could barely hear machines around him like dryer and electric fan whenever he wears the headphones. This pair of wireless headphone has a foldable design. It is compact, easy to collapse, and store. It also comes with a supplied soft case that makes it a lot easier to carry around. This headphone can also last up to 22 hours. You can pair it with two devices simultaneously through its Bluetooth function, and up to eight devices in its pairing list. You can use these headphones for a long time with its high quality leather pads. Reviews on Amazon.com say that the pads feel good on skin contact. 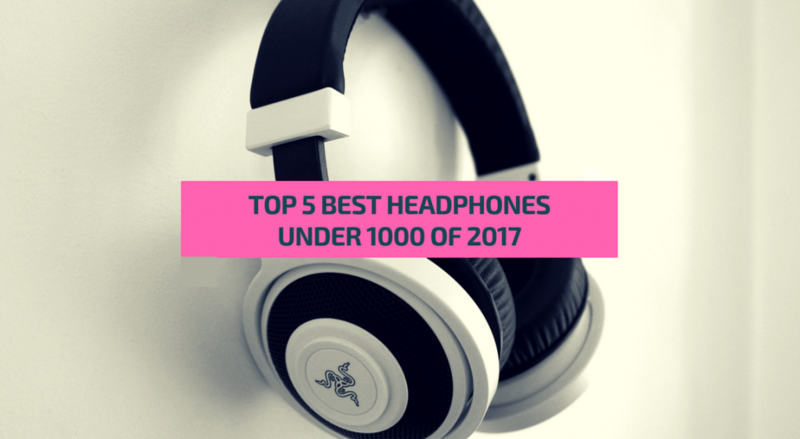 All these headphones are highly recommended, although the Sennheiser Momentum 2.0 Wireless with Active Noise Cancellation is clearly the best in this list. The noise cancellation technology used in this pair of headphones is very much advanced. You can be assured that you can hear crystal clear sound when you wear these headphones. Aside from its noise cancellation technology, the headphones are lightweight. It easily collapses for storage. Plus, it has a superior battery life compared to the other headphones in this review. You can also use this pair of headphones for an extended period thanks to its high quality, leather earpads. The lack of a carrying case, and the headphones a bit small for people with big heads, can be considered as minor flaws of this highly-rated product from Sennheiser. My name is Eugene, and I am an avid fan of sound systems and equipment. I have more than 5 years of experience in that field and I am here to share all my knowledge! HeadphonesDigital.com is a participant in the Amazon Services LLC Associates Program, an affiliate advertising program designed to provide a means for sites to earn advertising fees by advertising and linking to Amazon.com. Additionally, HeadphonesDigital.com participates in various other affiliate programs, and we sometimes get a commission through purchases made through our links.